It’s been grey and rainy in Berlin for the past days and only my favorite rain jacket has been saving me from daily natural showers. I bought this rain jacket two years ago, preparing for a trip to New Zealand: the weather that is considered spring and marks the beginning of a tourist season in Berlin is several degrees colder and almost as wet as winter in New Zealand. Coldish, windy, non-stop rainy winter in New Zealand drives tourists away, who in numbers surpass local population during the season. In winter the whole country looks deserted and you can drive for hundreds of kilometres without meeting a living soul – except for sheep of course, the only creatures in the country who could compete with tourists in numbers. But if you think that all parts of New Zealand are equally empty during winter months, you’ll be surprised to know that even the most deserted and remote place has the most deserted and remote place. Almost two years have passed since we drove through the greenest part of Kiwiland, but even if it was 200 or 2000 years ago, it wouldn’t matter. The Catlins is a place where time has stopped or rather has never started running. It’s a place with no beginning and no end, with little human presence left, but full of wet forests, waterfalls and sea lions. You will see a house or two, and both of them will be inhabited by those whom the world would happily label a “weirdo”. The Catlins is a piece of a different planet, which was thrown to Earth by Gods by mistake. Sea Lions are true owners of the Catlins coast. They rest with their families in the sun and would not care much if you keep hunting them with a camera unless you give a real reason for irritation. These are all fantasies of course. Given a level of safety in New Zealand, where every tree on a hiking trail is marked and every path in a forest is a hiking trail, the yellow color of the sign would never fade. 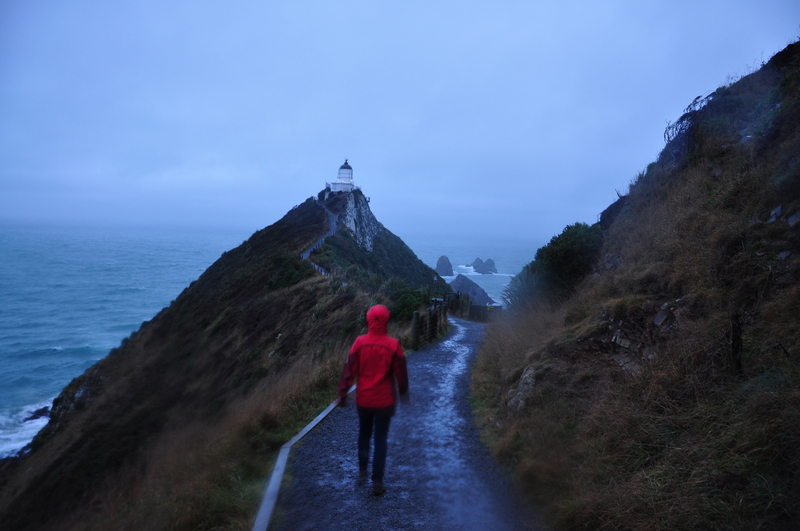 However if there is a place to get lost in New Zealand – it is the Catlins. You can spend years there and never remember a date when you ended up coming to this forgotten, or rather unspoiled, place on earth, which is full of hidden trails, caves, rivers and waterfalls. A feeling that you get when walking to a deserted lighthouse and only being slightly distracted by the screams of tiny invisible yellow-headed penguins is ineffable. Catlins is located literally on the edge of this world. It is probably the only place on Earth where you can find 160,000,000 (!) 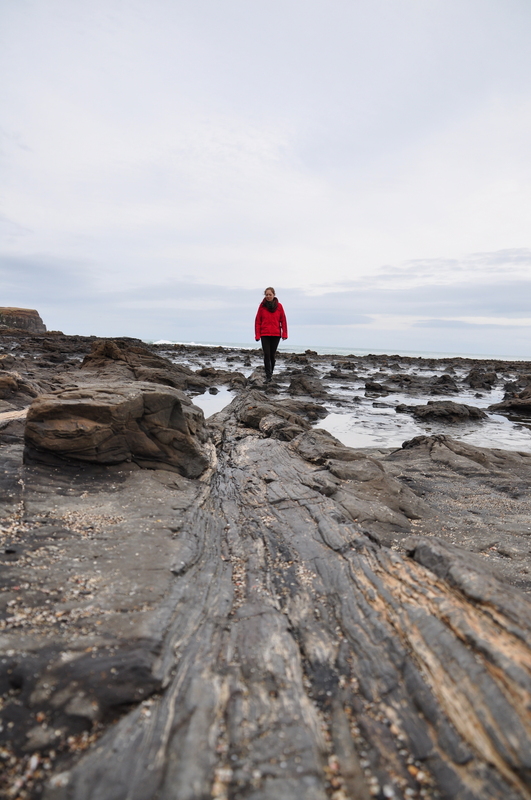 years old fossils: the petrified remains of ancient forests, form the age of dinosaurs are to be found in Curio Bay. People in the Catlins are also not like anywhere else. However, once you are there nothing seems weird anymore – neither a garden made out of tea pots, nor a gallery in a green bus surrounded by a garden full of engineering wonders. I don’t know if I am to come to Catlins ever again. But I know for sure that it will always be there, as a world which was never meant to be found.